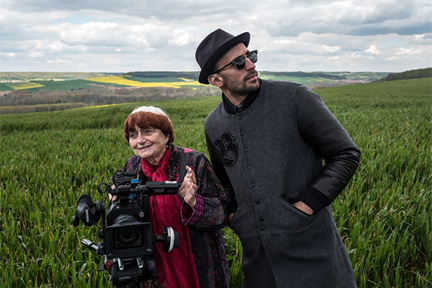 New wave director Agnes Varda and conceptual artist JR document their road trip in Faces Places (France) 2016. 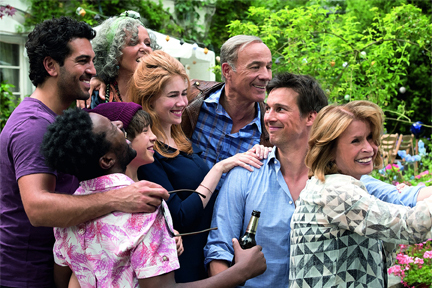 This intergenerational journey celebrates the lives of ordinary people seldom acknowledged. Many are women: a waitress in a small café, the lone resident of a block of homes targeted for demolition, the wives of longshoremen. Much of the magic involves pasting huge, black and white photos on walls and other exterior surfaces in the locations they visit. The two artists bring playful delight to a number of communities in France. It’s one of the nominees for the 2018 Academy Awards. The film returns to the Alamo Drafthouse New Misison Theater in San Francisco Friday 2 February 2018.